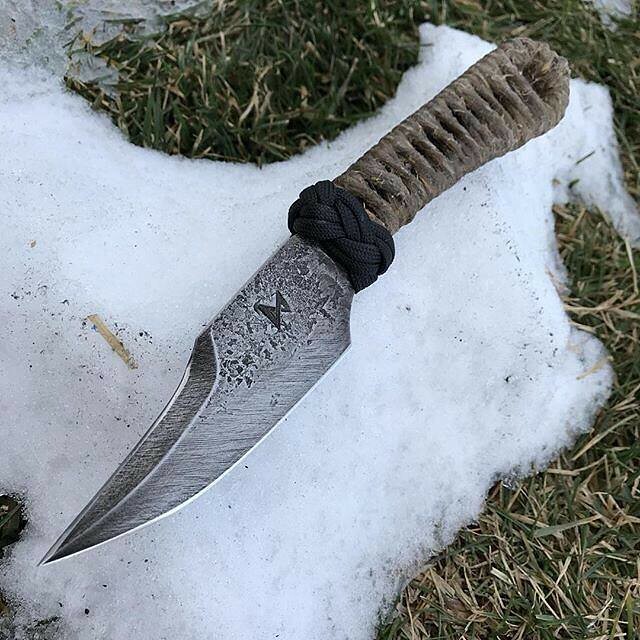 A guy who does bodyguard work for rock stars approached me about doing a short, cord wrapped knife for him. It seemed like an interesting project, so I took it. He wanted a 4" blade (about as short as I ever make) and 4" handle (shorter than I usually do), sharpened top edge, cord wrapped handle, but left the rest of it up to me. 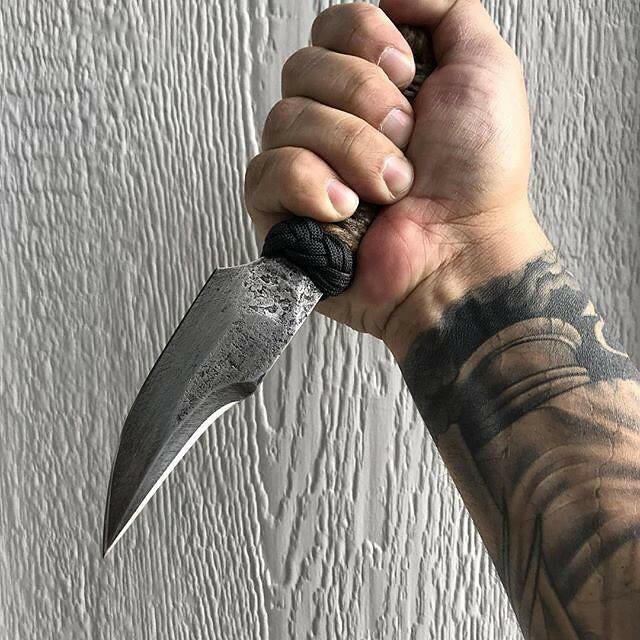 I took a few tips I've picked up from Ed Calderon and a bit of Spanish navaja influence, some pikal design, and came up with the Rooster Spur. 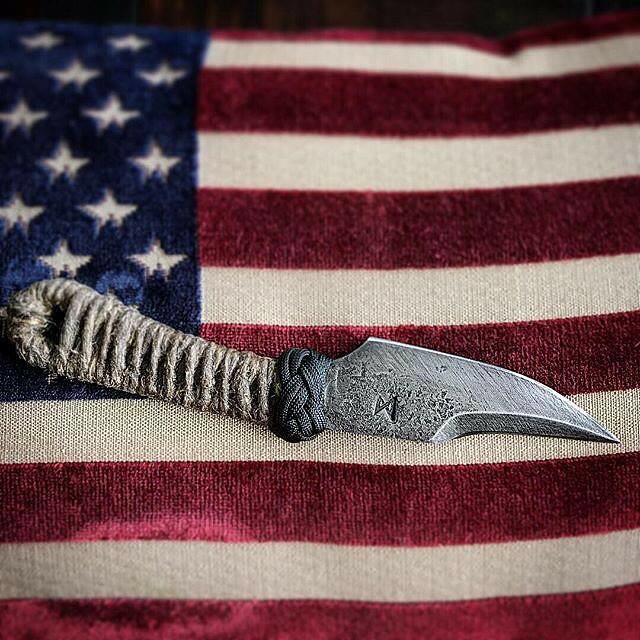 It's forged from 80CrV2 steel, with a hemp cord wrap over the bare steel of the tang. It has a narrow little point for easy penetration. A two-strand Turk's head provides a mechanical lock for the hand to keep it in place when stabbing. 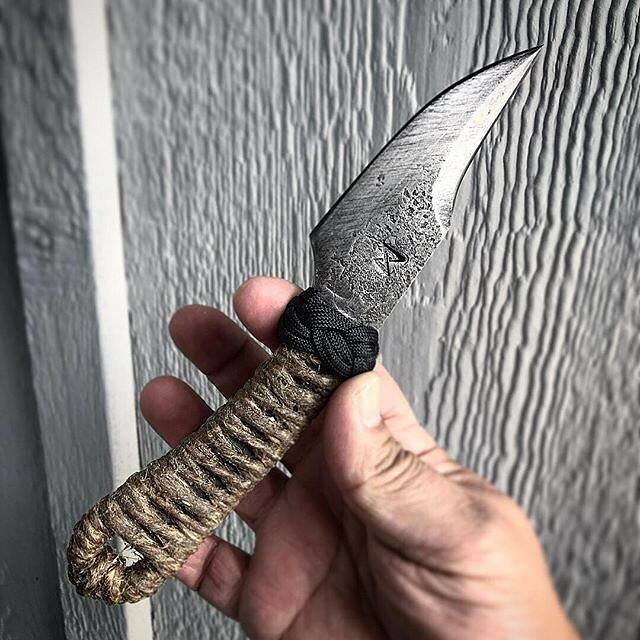 As mentioned above, it was designed with pikal techniques in mind, and the handle works well with a thumb anchor grip. 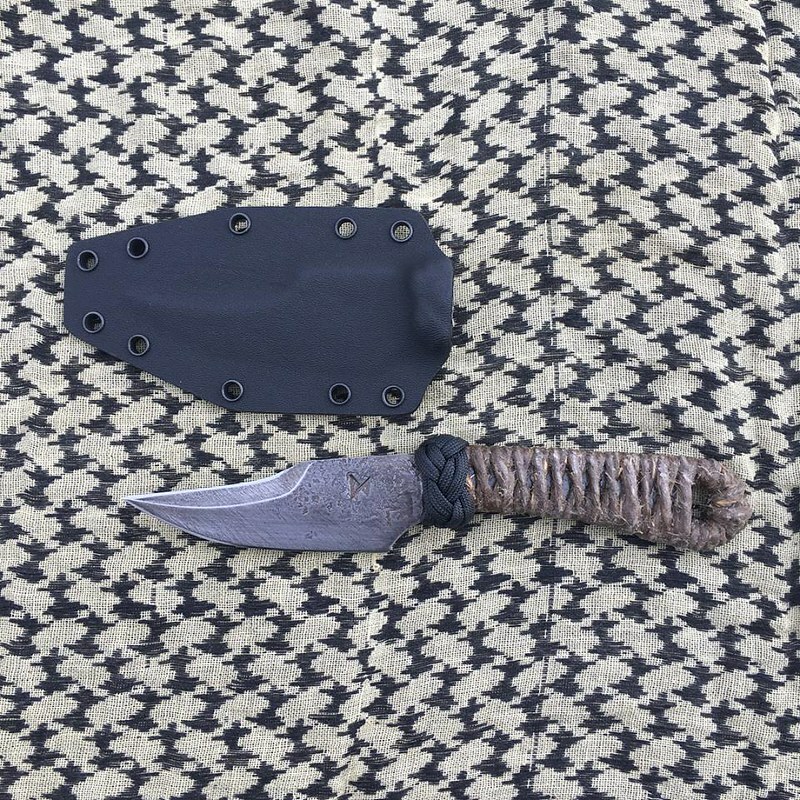 And, of course, a Kydex sheath for carry. It's garnered enough attention that I'm strongly considering a mid-tech version once I have the process all sorted out. The customer described it as "a tank with a razor edge". 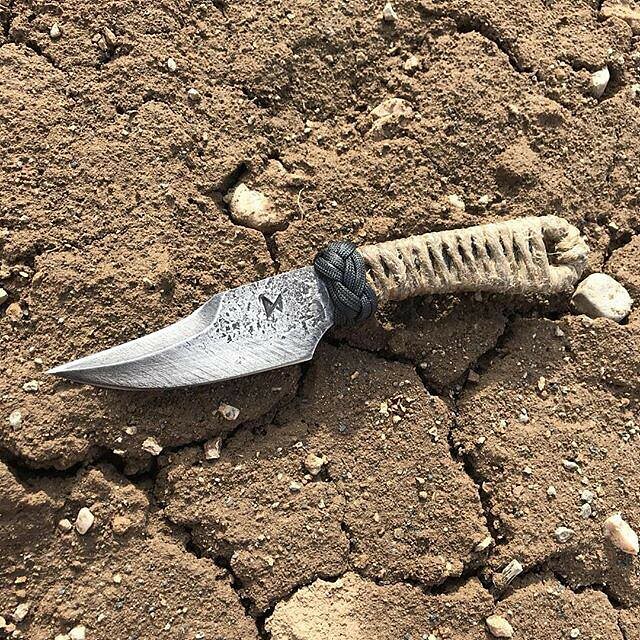 Damn, that is a fine looking knife! Love it! 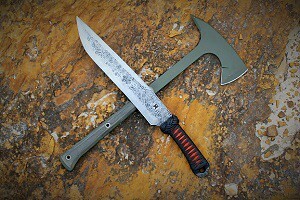 Beautiful work, that is a fine looking knife. "When you can't run, you crawl, and when you can't crawl..." "You find someone to carry you." "She's tore up plenty, but she'll fly true." Really nice. I think you should consider a run of these. It looks great . 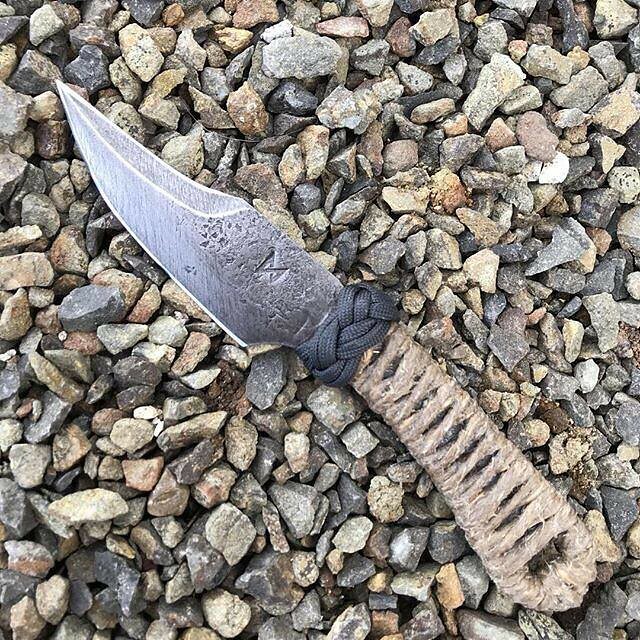 Is the back edge a false one or is it sharpened? The Twizzler - Scares the hair off my arm. annashetty wrote: I think you should consider a run of these. Working on the setup to be able to.